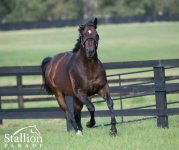 BENFICA 3 wins at 2, A$467,150, BRC TJ Smith S., Gr.1, Hampden S., L, STC Blackwoods 2YO H., 2d AJC Corporate Membership 2YO H.. He entered stud in Aust. in 2012. 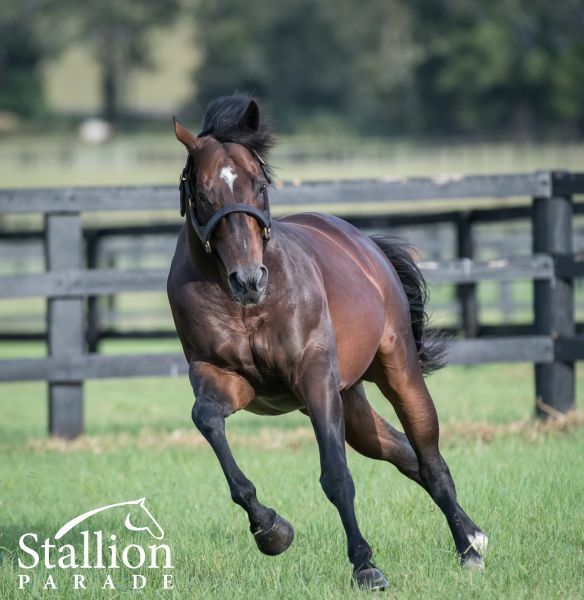 Sire of 78 progeny to race, 31 winners (39.0%), earnings of over $1.9 million, 1 stakes winner, 1 stakes placegetter, inc.
EUSEBIO (13g, Quest for Fame, Luskin Star). 5 wins to 1400m to 2017-18, A$234,925, Canberra Guineas, L, ATC Thanks Owners H., MVRC Device Technologies H., 3d ATC Theraces H.
Benfica Princess (13f, Made of Gold, Scenic). 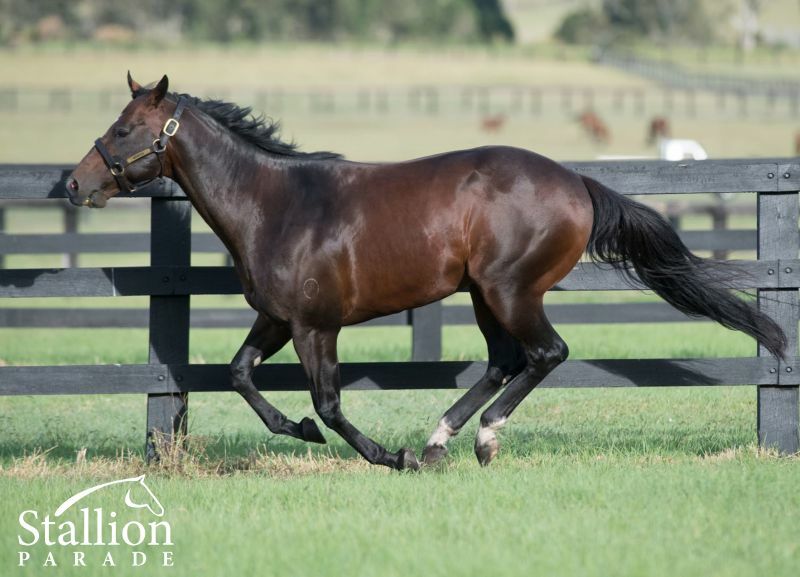 7 wins from 1200m to 1650m to 2018-19, A$180,550, Qld Tatt's RC Functions at Tattersall's P., BRC Www.brc.com.au H., Prostate Cancer Australia H., Relaxed Racing H., SCTC Access Insulation H., 2d BRC Brc.com.au H., Ipswich TC K&R Plumbing Supplies 2YO P., 3d BRC Princess S., L, SCTC Property Today Real Estate, North Shore Realty P.
Barbass (13g, Strategic, Spectacular Spy). 2 wins-1 at 2-at 1100m, 1600m, A$162,765, Scone RC Inglis 2YO Challenge P., 2d ATC RB Electrical 2YO P., 3d Mudgee DRC CDRA Country Championships Qualifier, ATC TAB Highway H.
Bene Gal (13f, Commands, Sir Laurence). 4 wins at 1000m to 2018-19, A$82,210, MRC (Mornington) Big Screen Company H.
She's Beneficial (13f, Anabaa, Dancing Dissident). 4 wins to 1300m to 2017-18, SAJC 13cabs H.
Ori on Fire (13g, Strategic, Rory's Jester). 4 wins to 1200m to 2018-19, A$148,545, ATC TAB Highway H., 2d ATC TAB Highway H., 3d Mudgee DRC CDRA Country Championships Qualifier. Charlie Chap (14g, Testa Rossa, Casual Lies). 3 wins-1 at 2-to 1200m to 2017-18, A$138,585, 3d ATC John Miller Hall of Fame 2YO H., Hawkesbury RC TAB Clarendon 2YO S., ATC Pluck at Vinery H.
Prince Mouritz (13g, Palace Music, Sackford). Winner at 2, 3d WATC Initial 2YO P.
We Love Rugby (14f, Commands, Sanction). 3 wins at 1400m to 2018-19. Big Ben the Clock (13g, Starcraft, Sadler's Wells). 3 wins from 1600m to 2200m. General Harmony (13g, Forest Glow, Sir Tristram). 3 wins from 1100m to 1600m to 2017-18. Que Pasa (13g, Canny Lad, Metal Precieux). 3 wins to 1400m to 2018-19. Go Joyce Go (14g, General Nediym, Catrail). 2 wins at 900m, 1000m in 2017-18. Little Steiny (14g, Sequalo, King Hadrian). 2 wins at 1200m, 1300m in 2017-18. Belle of Portugal (14f, Marwina, Salieri). 2 wins at 1100m, 1200m in 2017-18. Brutal Babe (14f, Bradbury's Luck, Kingdom Bay). 2 wins at 1050m, 1100m to 2018-19. Ser Ser Schon (14f, Jet Spur, Desert King). 2 wins at 1000m, 1100m in 2018-19. Shesabitfoolish (15f, Flying Spur, Red Ransom). Winner at 2 in 2017-18. Cathedral Lass (14f, Sadler's Wells, Habitat). Winner at 1400m in 2018-19. Benasong (14f, Commands, Unbridled's Song). Winner at 2. That's Anna (14f, Secret Savings, Irish River). 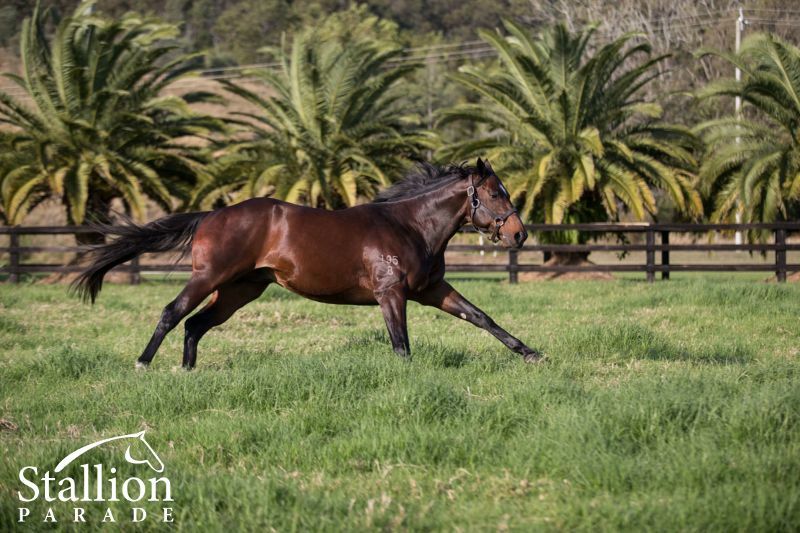 Winner at 1200m in 2018-19, Rockhampton JC CQ Mechanical Solutions P., 2d Rockhampton JC Alexander Bauman H., 3d Rockhampton JC XXXX Gold H.
Einstein's Cross (14g, Sadler's Wells, Shirley Heights). 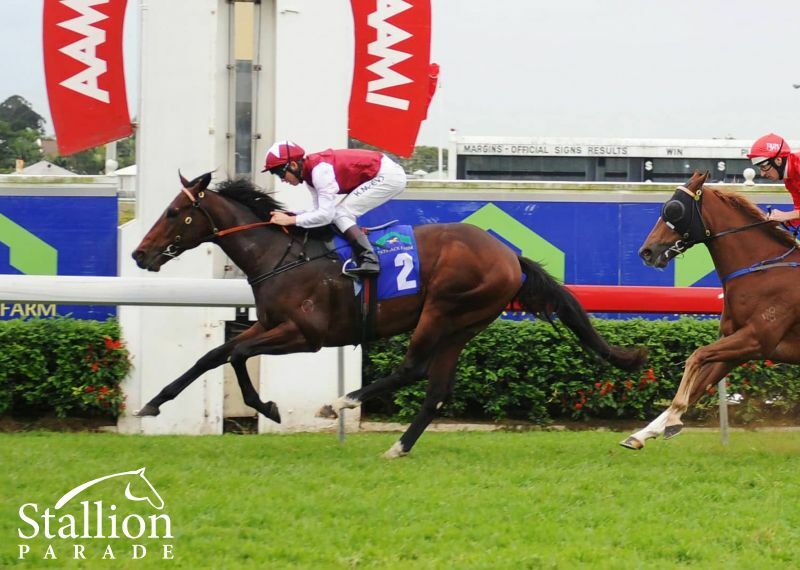 Winner at 1600m in 2019, 3d Singapore TC Order of the Sun S.
Benz Express (14g, More Than Ready, Rhythm). Winner at 1400m in 2018-19. Bebado (14g, Mossman, Telesto). Winner at 2. Dallyeora Leo (13f, Double Century, Paris Review). Winner at 1000m. Tale of Eight (13g, Tale of the Cat, Kaapstad). Winner at 1150m in 2017-18. Star of Serena (13f, Encosta de Lago, Soviet Star). Winner at 1600m in 2017-18. Li'l Pippa (13f, King of Danes, Northern Fred). Winner at 800m. So Blessed (13f, King's Best, Star Way). Winner at 1200m. Bengara (13g, Slip Anchor, Dayjur). Winner at 1500m. BENFICA (c by Lonhro) 3 wins. See below. 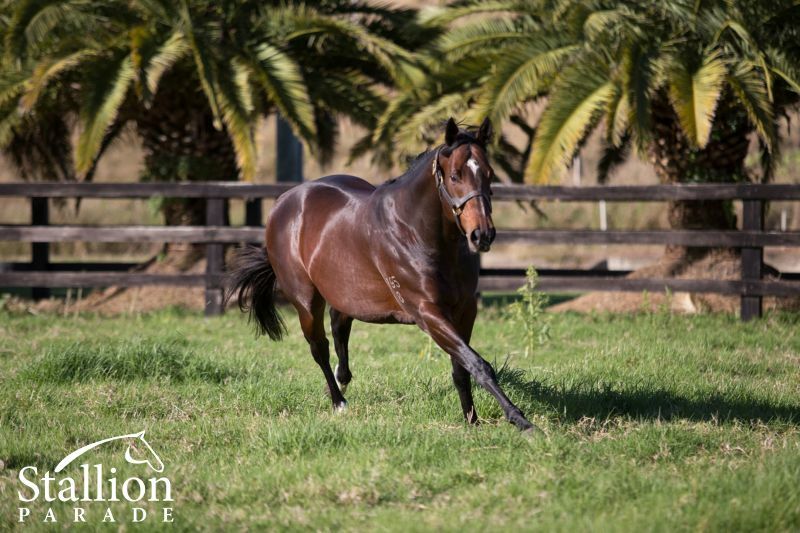 MULTAJA (f Medaglia d'Oro) 4 wins-1 at 2-to 1200m, A$290,900, to 2018-19, ATC PJ Bell S., Gr.3, MVRC Saj Fruits H., ATC Richmond Club H., 2d MVRC MSC Signs P.
VERANILLO (g Medaglia d'Oro) 2 wins at 2, A$317,075, ATC Lonhro P., L, Funland Australia 2YO H., 2d ATC Silver Slipper S., Gr.2, 3d ATC Todman S., Gr.2. Capanna (g by Quest for Fame (GB)) 2 wins at 1400m, 1550m, A$144,310, AJC Bigpond Sport H., Thakral Holdings & Bob Hawke H., 2d AJC Coral Sea Memorial H., Dual Quest H., STC Pendragon H., QTC Mahogany H., 3d AJC Samsung Mobile H., Members H., STC Blacktown Workers Club P., Freeway Hotel H.
The Hassler (g by Elusive Quality (USA)) Winner at 1100m in Aust. Prolific Belle. 3 wins at 1100m, 1400m, 2d BRC Driver Recruitment P., Jackpots From Aristocrat H.
Hut (f Danehill) 3 wins. See above. Thorns. 6 wins from 1400m to 1600m, A$224,780, AJC Electric Sunglasses H., At Sea H., Dave Colliss 90th Birthday H., STC CVD Function Centre Flying Welter H., St Marys Leagues Club H., 2d STC TJF Group Christmas Quality H., AJC Randwick Labor Club Flying Welter H., Convention Centre H., STC Burdett Buckeridge H., SAJC John T Walter H., Nautilus Estate H., 3d AJC Bacardi Breezer H., Bar Broadway & City Hotel H., SAJC Pope Packaging H., Schweppes H., VRC Vili's Pies H., SAJC Central Districts Private Hospital H., 4th VRC Chester Manifold S., L.
NEROLI (f Viscount) Joint third filly on 2008-09 Australasian 4YO+ Classification. 7 wins from 1300m to 1600m, A$772,050, STC Queen of the Turf S., Gr.1, Millie Fox S., Gr.3, VRC Maybe Mahal S., L, AJC Angst S., L, Sir Ivor H., STC Sofitel Gold Coast H., Rosehill Gardens Event Centre H., 2d MRC How Now S., Gr.3, AJC UBS Investment Bank H., STC Dry-It H., 4th VRC Myer Classic, Gr.1, STC Coolmore Classic, Gr.1, VRC Rose of Kingston S., Gr.2, MRC Tristarc S., Gr.2. Producer. 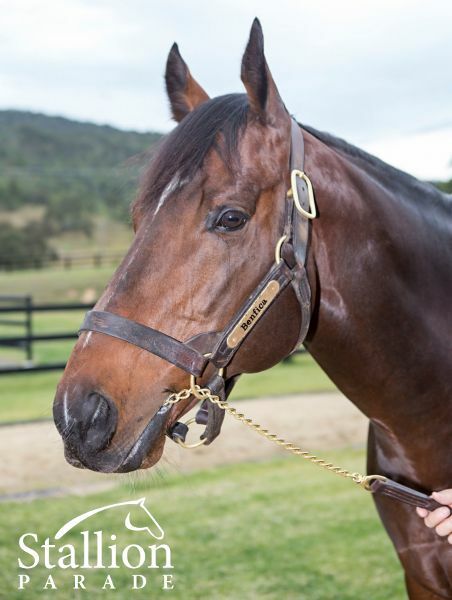 BANDIPUR (g Commands) 6 wins-2 at 2-to 1200m, A$437,755, to 2018-19, SAJC Lightning S., L, MRC Ladbrokes H., Fight Cancer Foundation P., VRC Peter Dakin H., ATC Brother Dan's 80th Birthday H., 2d MVRC Mitchell McKenzie S., L, VRC Schweppes Fling P., MRC John & Denise Cobcroft 2YO H., 3d VRC Kiis 101.1 Jase & PJ H., ATC Australian Turf Club Sprint H.
MAGIC CHAI (g Magic Albert) 5 wins from 2100m to 3200m, NZ$217,505, to 2017-18, Wellington Cup, Gr.3, ARC Ray White City Realty H., Auckland Co-Op Taxis H., Waikato RC Techo H., 3d ARC Dunstan Feeds Stayers Final. BIG TREE (c Snitzel) 2 wins-1 at 2-at 1200m, A$217,700, GCTC Ken Russell Memorial Classic, Gr.3, BRC Rhino Toolboxes H., 2d BRC Best Security H., Iona Old Boys H., Nugrow Organics H., Hamilton Hotel H., McGahan Electrical H., Madame Wu H., 3d SCTC Mick Dittman P., L.
Won BRC TJ Smith S., Gr 1 (1600m), Hampden S., L (1200m), STC Blackwoods 2YO H. (1100m), 2nd AJC Corporate Membership 2YO H.
LONHRO Horse of the Year in Australia in 2003-04. 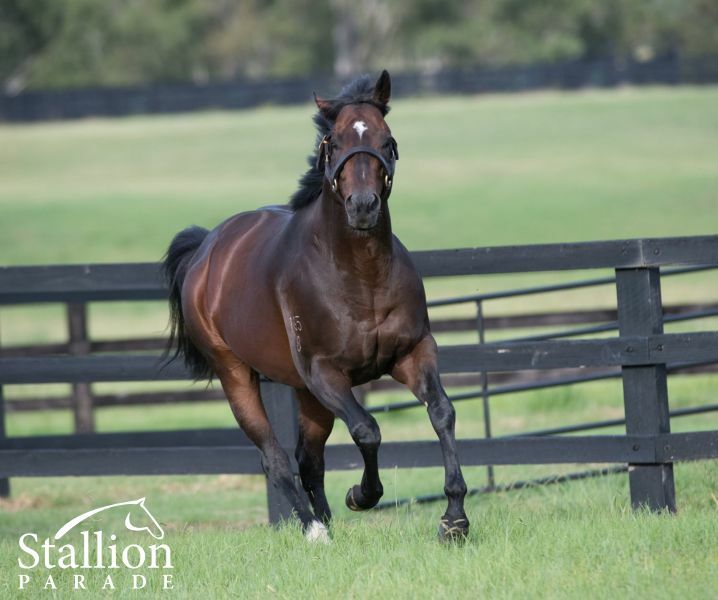 Champion 3YO in Australia in 2001-02 & Joint top of the 2004 World Rankings (mile). Top of the 2001-02 Australasian 3YO Classification (middle). 26 wins-2 at 2-from 1100m to 2000m, A$5,790,510, AJC Queen Elizabeth S., Gr.1, VRC Australian Cup, Gr.1, LKS Mackinnon S., Gr.1, AJC George Main S., Gr.1, Chipping Norton S., Gr.1, VATC Caulfield Guineas, Gr.1, STC George Ryder S., Gr.1-twice, MRC Yalumba S., Gr.1-twice, CF Orr S., Gr.1, AJC Stan Fox S., Gr.2, Warwick S., Gr.2-twice, Royal Sovereign S., Gr.2, Hobartville S., Gr.2, Expressway S., Gr.2, Apollo S., Gr.2, MRC St George S., Gr.2, NSW Tatt's RC Chelmsford S., Gr.2-twice, VATC Blue Diamond Prelude (c&g), Gr.3, STC Missile S., Gr.3, NSW Tatt's RC Ming Dynasty H., Gr.3, STC Heritage S., L, Parramatta Leagues Club 2YO H., 2d AJC Queen Elizabeth S., Gr.1, Warwick S., Gr.2, STC Wests Illawarra 2YO H., 3d MVRC WS Cox P., Gr.1, STC Missile S., Gr.3, 4th AJC Doncaster H., Gr.1, George Main S., Gr.1, VATC Blue Diamond S., Gr.1. He entered stud in Aust. in 2004. Champion Aust. Sire in 2010-11, second in 2011-12, third in 2009-10. Leading Aust. Sire of 2YOs in 2011-12. Leading Aust. Sire of 3YOs in 2010-11. Leading Aust. Sire by Winners in 2013-14, 2014-15. 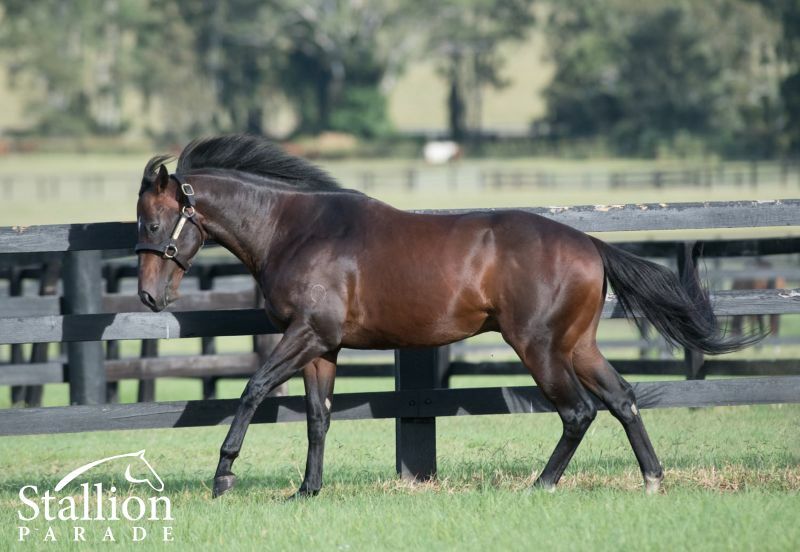 Sire of 1187 progeny to race, 862 winners (72.0%), earnings of over $116 million, 83 stakes winners, 68 stakes placegetters, inc.
A Group I winning two-year-old by charismatic champion racehorse and sire Lonhro, Benfica defeated subsequent Group I winning sprinter Hot Snitzel to win the Group I BRC TJ Smith Stakes 1600m at Eagle Farm. 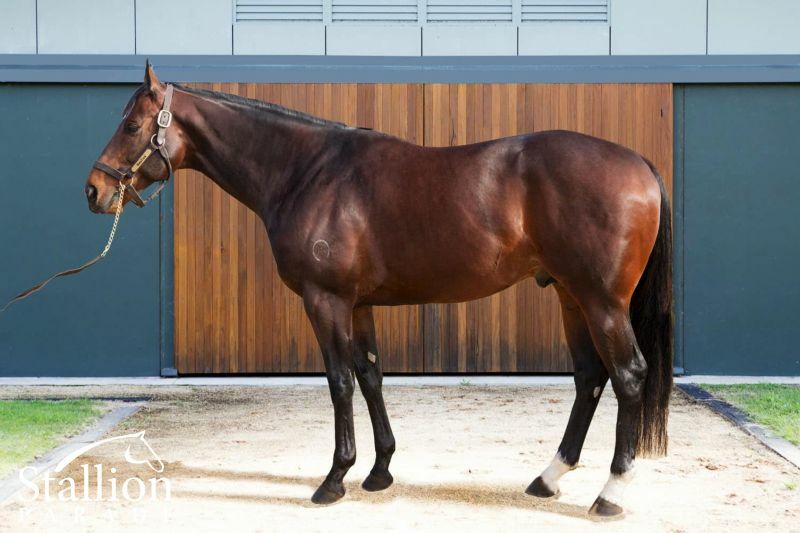 From the family of Group I winners Neroli and Riverina Charm, Darley homebred Benfica is one of only two Group I winning juveniles sired by Lonhro, the other being Golden Slipper winner Pierro. 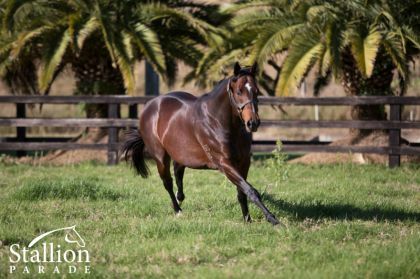 His first crop are two-year-olds of 2015/2016 and his first winner from a small number of runners, Barbass, took out a lucrative Inglis bonus race, so the future looks bright for Benfica.